Towne Lake is one of Houston’s newest master planned communities and features over 300 acres of boating excitement in this 2,400 acre development. Located in northwest Harris county, Houston Texas. Also known as Cypress, TX. Towne Lake Homes For Sale in 2015 reported sales in the $225,000 to over $1.5 million range. Values have steadily increased as Towne Lake brings in more builders and the lake grows! New construction builders in Towne Lakes included David Weekly Homes, Coventry Homes, Partners in Building, Newmark Homes, Village Builders and more. Towne Lake Homes For Sale also features a wide range of custom builders that offer home sites along the water. Let Mike Harrison Custom Homes, Keechie Creek Builders or Dree’s Custom Homes build your dream castle along the lake. The Towne Lake developer is Caldwell Companies. Well known for creating magical communities for the 55 and over buyer such as Del Webb in various parts of the country. In Towne Lake, they have created The Heritage. For those active adults, The Heritage features a 16,000 sqft club house designed around their needs. A fitness center, hobby room, game room, library, outdoor pool, tennis, biking trails and more all for the 55 and over community in Towne Lake. 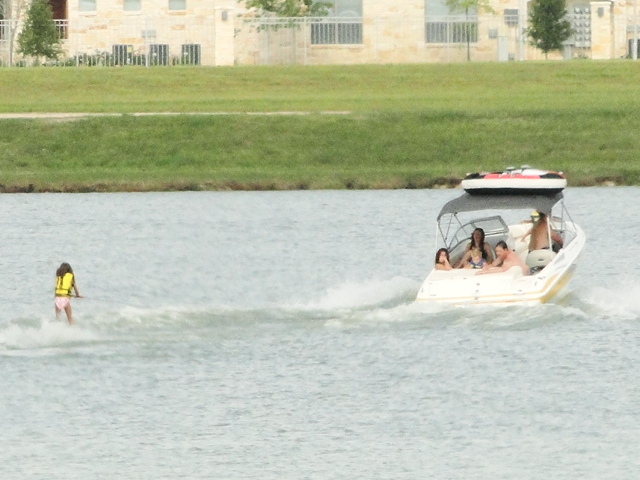 The Towne Lake homes for sale will bring you to the community, but the amenities will make you think your on vacation. Incredible features including a full blown marina and lakehouse, a large water park with a sandy beach, amphitheater, lake side shopping and dining in the new Boardwalk development, multiple club houses with fitness facilities, pools and parks. The Cypress-Fairbanks school district elementary schools Rennell and Postma, Anthony middle school as well as the Lone Star Community College Cy-Fair branch are within walking distance of homes inside Towne Lake. Recently opened shopping center in front of the community includes a Kroger Marketplace. The entire community has a Texas hill country theme with lime stone architecture, landscaping and water falls. All sections of Towne Lake Homes For Sale will have access to the massive lake with multiple boat launches and day boat docks. Around Towne Lake are many of the areas popular amenities including Houston Premium Outlet Mall, Willowbrook Mall, Blackhorse Golf Club, Houston National Golf Club, Langham Creek YMCA as well as the Harris County Deputy Darren Goforth county park that features a dog park and 2.5 miles of walking trails. Don’t forget about the easy access along Highway 290, Highway 6 and the recently completed Highway 99, better known as the Grand Parkway. All of these roads make for an easier commute to the Houston Energy Corridor and other employment areas of Houston. To schedule a tour of Towne Lake homes for sale or to receive pricing information on your home, please contact Mark McNitt at 832-567-4357. Like New Ashton Woods, Never Lived in 4 Bedroom, 3.5 Bath Home on premium lot in a gated section of Master Planned Community of Towne Lake! Kitchen has beautiful Silestone countertops, Oversized kitchen island w/ Kohler farmhouse sink, 160;upgraded cabinets, subway tile, built-in stainless steel Whirlpool appliances & pendant lights. Hardwood Floors throughout 1st/2nd floors. 160;Plantation Shutters. Office downstairs. Wood beams ceiling in Living room & high baseboards throughout. Covered front porch w/ gas lights & covered side patio. Master down w/ high ceilings & Master bath includes Large stand-alone shower w/ seat, stand-alone tub, his & hers sinks, & Dream Closet. Large upstairs game room. Secondary bedrooms boast Walk-In closets. Sprinkler system, state of the art security system w/ cameras on all angles of the house. 160;Beautiful gray & white finishes throughout! Towne Lake amenities include a private lake, Lake House, Water Park, On-Site Activities Director & much more! Did Not Flood! BRAND NEW ASHTON WOODS - Luxury Brand New TownHome. Located in the exclusive gated lake front community on Towne Lake. 3 story town home, has a beautiful lake view off Patio and 3 car garage. Loaded with upgrades. Linen Cabinets, granite and Kohler Apron front sink, stainless steel whirlpool appliances, surround sound and camera pre wire, utility room off the master, 3 car garage and many more. All just a short walk to The Board Walk. Located in the gated LakeShore community on Towne Lake with its own infinity pool, lake side walking trails, down the street from the Boardwalk and access to all the Amenities Towne Lake has to offer. TRENDMAKER BUILT BEAUTY w/4 sides STUCCO + 3 car garage loaded with UPGRADES! Premium Location in Towne Lake - Walking Distance to Community Lake + Boardwalk! Sought-After Layout - Master + Guest Suite Down! Impressive High Ceiling Family Room - Gas Log Fireplace + Plantation Shutters! Delightful Kitchen: Curved Serving Bar/Island + Granite Counters + Stainless Appliances! 42 Cabinetry + Big Walk-In Pantry! Spacious Dining Area - Direct Access to Covered Patio! King-Sized Master Suite - Posh Bath with Beautiful Barrel Ceiling, Whirlpool Tub & Oversized Shower, & Enormous Walk-In Closet! Downstairs Guest Suite/Nursery with En-Suite Bath! Gameroom with Access to Secret Storage Room Area! Adjoining Media Room with Surround Sound Wiring! Oversized Laundry Room! Covered Slate Patio with Fan & Gas Line for BBQ Pit - Overlooks Manicured Backyard! Master-Planned Community with Amenities Galore: Lake, Boat Docks & Marina, Fitness Centers, Parks & Trails, Boardwalk, Waterpark, & Clubhouse!